﻿ Wellington Telford office computer repair, business computer support in Wellington. 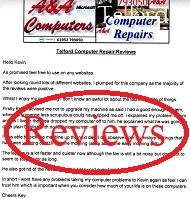 A&A Computer Repair are pleased to offer ongoing office computer support plans - ongoing business computer service plans. Eg; £80 per month plan. Includes annual security assessment. We will scan systems for viruses, malware - malicious software, trojan viruses, ransomware and security loopholes - we will advise accordingly. Covers up to 8 Telford Office Computers per site running Windows operating systems (any combination of PCs and Laptops but not including servers). We guarantee a 24-7 service with issue attendance within 4 working hours of fault report in Wellington (8am to 8pm; £35 call out fee + parts applies). If out of hours in Wellington (8pm to 8am); £50 call out fee + parts applies. In the vast majority of cases, assessments, installations, fault resolutions etc will be dealt with by Kevin. Please note; initial and annual visits will involve computer servicing, software updates and diagnosis (fault prevention). Covered computers should be running high quality anti virus software such as Norton or Kaspersky. 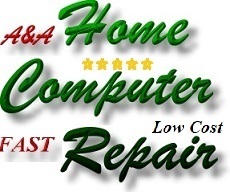 It should be noted that free anti virus software is usually inadequate for home and often represents a false economy. 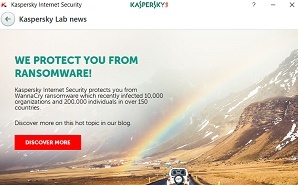 Please note that we recommend Kaspersky Internet Security. During the Wannacry Ransomware attack of May 2017, measures taken by A&A Computer Repair to protect A&A clients resulted in zero infections (100% protection - zero disruption was achieved). This was achieved by our installing updates, configuring updates and installing - configuring high quality Internet Security software on clients systems. Please also note that we do not view clients files and the legality or otherwise of installed software is not our concern. Eg; we are Microsoft partners, but we do not test for the legality or otherwise of software unless the client asks us to do so, and we do not report suspected infringements. Our relationship with clients is strictly confidential. 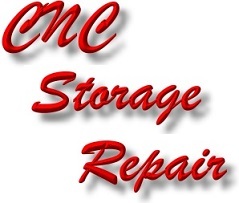 eg; we can clone clients current hard disk drives to SSD and install from only £30 per system (does not include SSD). However, we will advise on which SSD to acquire and recommend a supplier (with whome we will have no relationship). A&A appreciate that it is often far more convenient to install upgrades etc "outside Office Hours". We therefore offer this facility in Wellington, Telford at a cost of only £35 per day.